Jet Airways, the carrier that is struggling under a pile of debt, may get some respite. India’s largest lender State Bank of India (SBI) is set to swap part of its loans into a stake of at least 15 per cent in Jet, people with knowledge of the matter said. Other creditors to the carrier also plan similar conversions of some debt into equity to help keep the carrier alive, they said. Under a new rescue proposal for India’s biggest full-service airline, founder Chairman Naresh Goyal’s stake would fall below 20 per cent from 51 per cent currently, the people said, asking not to be identified, as the information isn’t public. Etihad Airways PJSC, the foreign partner with a 24 per cent stake, is expected to infuse additional funds to take its holding to more than 40 per cent, they said. An agreement that keeps the beleaguered airline flying would safeguard about 23,000 jobs and save Prime Minister Narendra Modi the embarrassment of a collapse months before general elections. The Mumbai-based carrier, which has struggled with profitability in an increasingly competitive market, has piled on $1.1 billion in debt and fallen behind on paying loans and salaries. A final decision hasn’t been taken as a deal is still being negotiated, the people said. Spokesmen for SBI and Jet didn’t immediately respond to emails seeking comment. 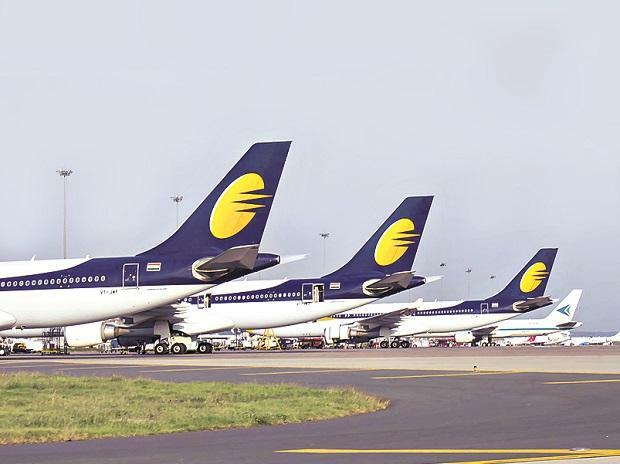 Jet has called an extraordinary general meeting on February 21 in Mumbai, to seek shareholders approval to increase its authorised share capital by issuing equity and preferred shares. The company’s shares have fallen 68 per cent in the past year making it the worst performing share in the BI Asia Pacific Airlines index. They dropped 0.7 per cent on Tuesday. The Mumbai-based carrier, which started operations more than two decades ago after India ended state monopoly in aviation, has been under pressure to offer discounted fares on its premium flights with the entry of budget carriers. Market leader IndiGo and others, with their on-time, no-frills services, lured customers away from Jet, resulting in its slide into losses. Jet hasn’t seen profit in all but two of the past 11 years, and has seen its market share more than halve to about 14 per cent from its heyday. It wasn’t just the competition that weighed on its earnings. The highest fuel prices in Asia, thanks to local taxes of as much as 30 per cent, and fluctuations in oil prices dealt a blow as well. The tough conditions led to the collapse of Kingfisher Airlines earlier this decade, while state-owned Air India has survived on government bailouts. Budget carrier SpiceJet Ltd. ran out of cash in 2014 before it was rescued by one of its founders. The carrier is working on “various options on the debt-equity mix, proportion of equity infusion,” the airline said in a statement on January 16 adding the restructuring may lead to a change in the board of the company.